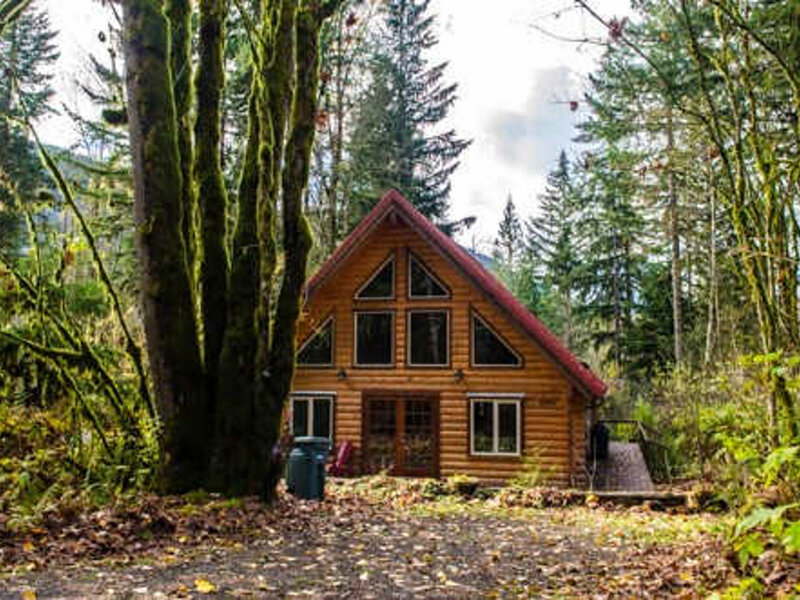 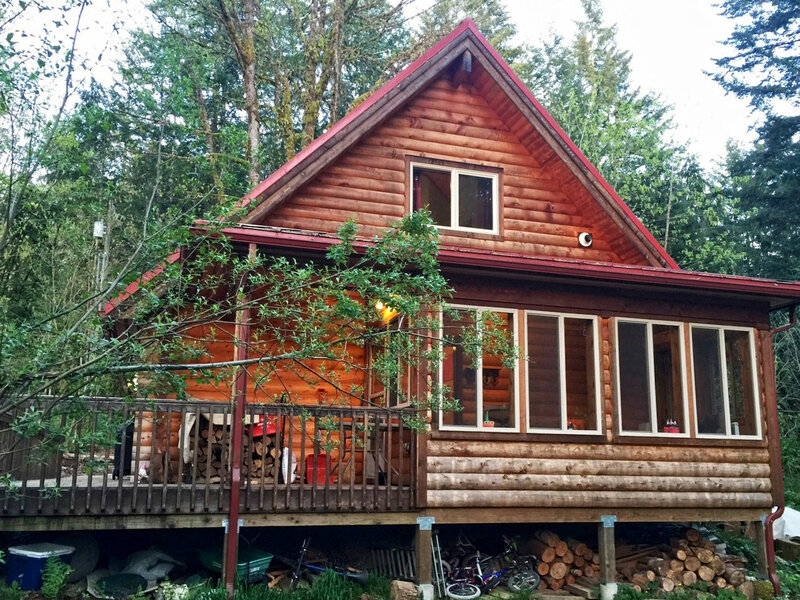 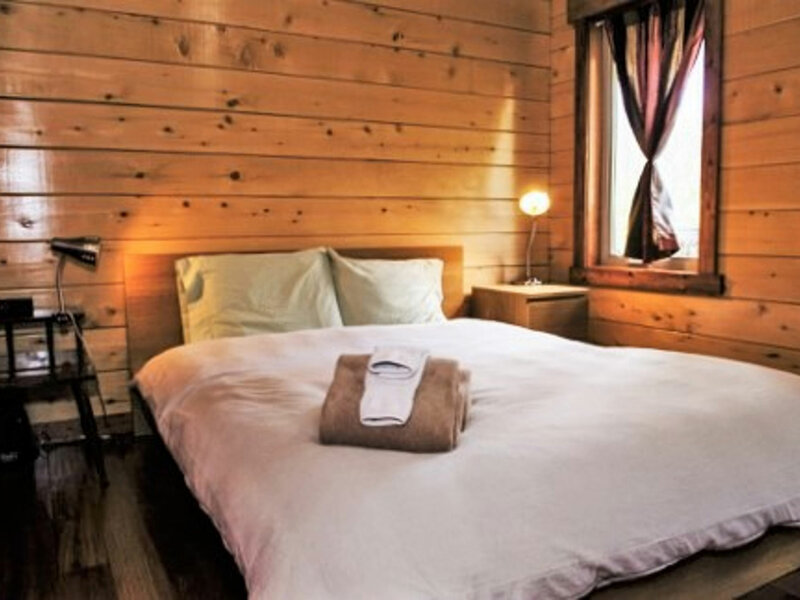 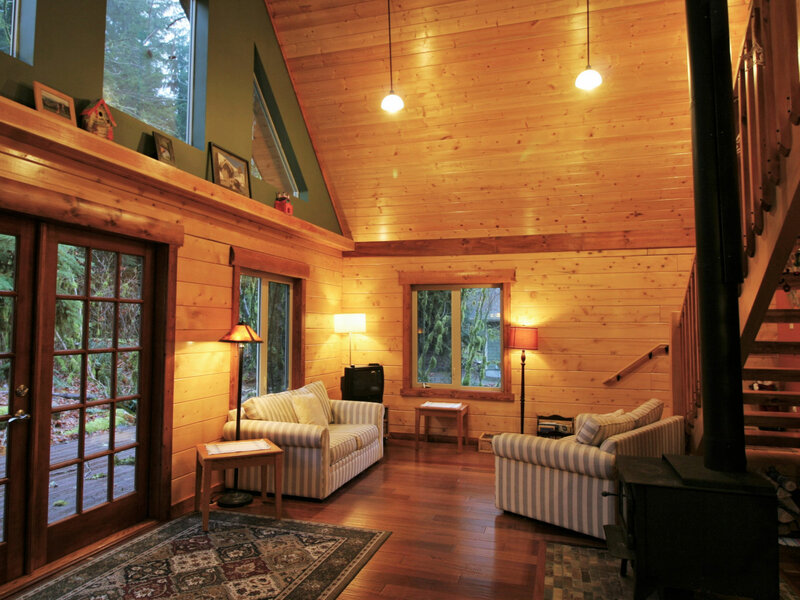 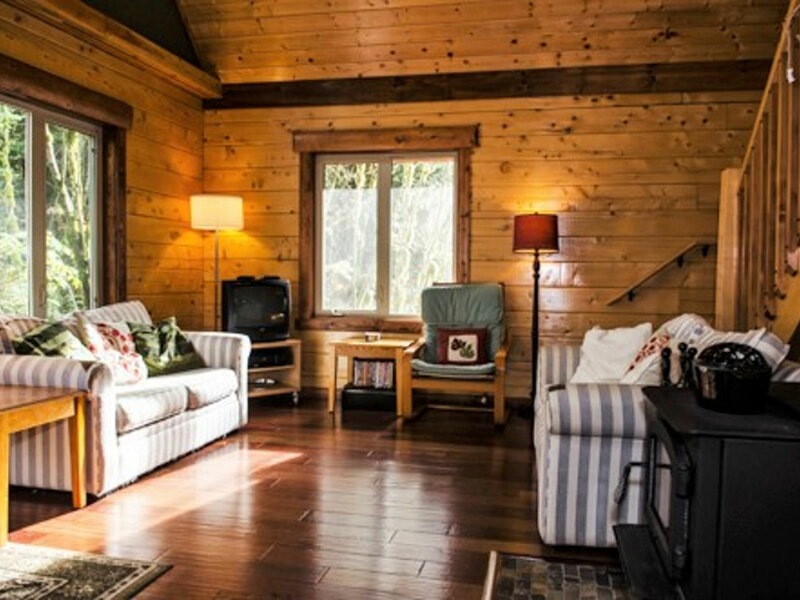 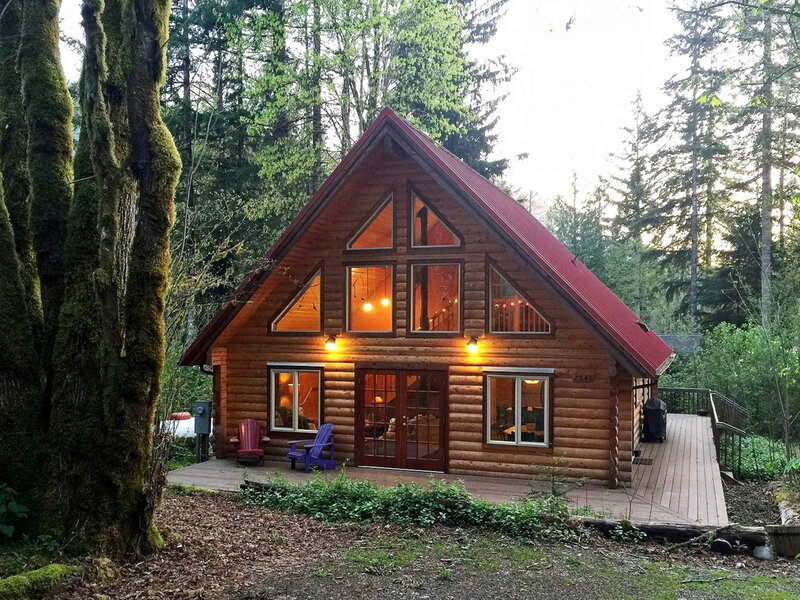 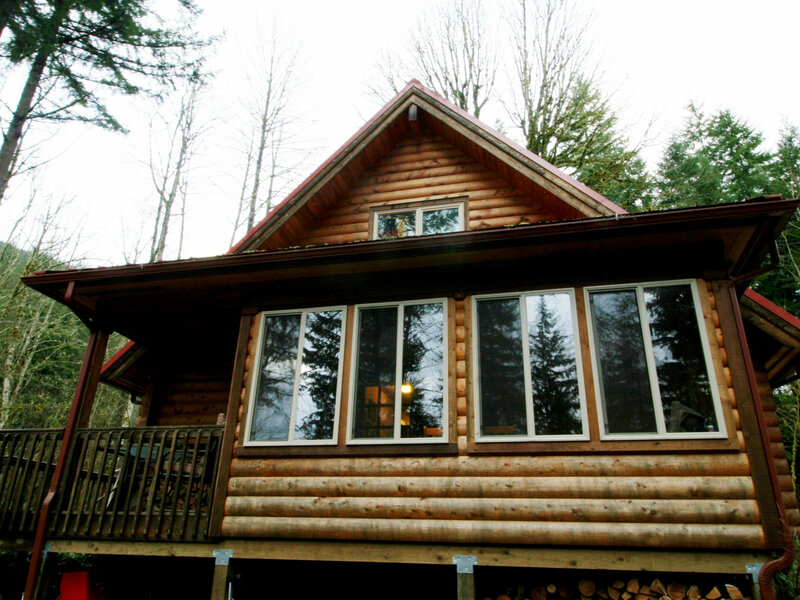 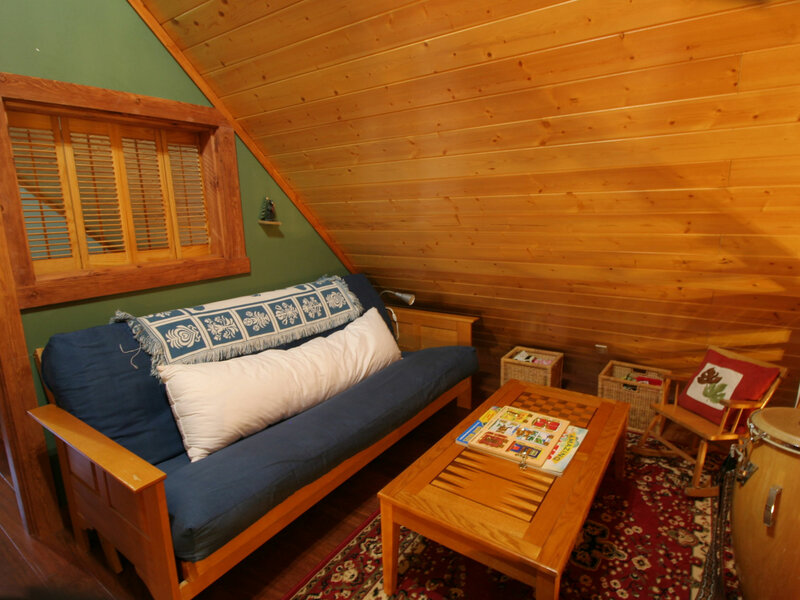 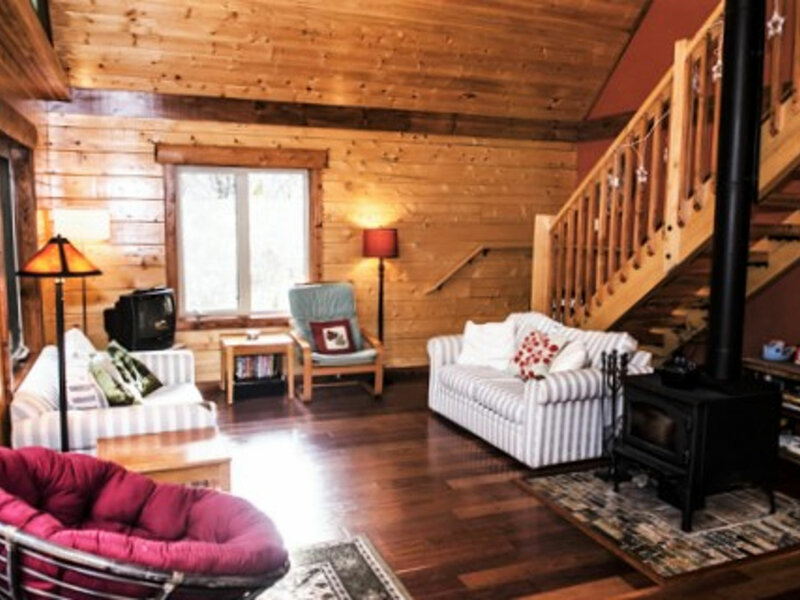 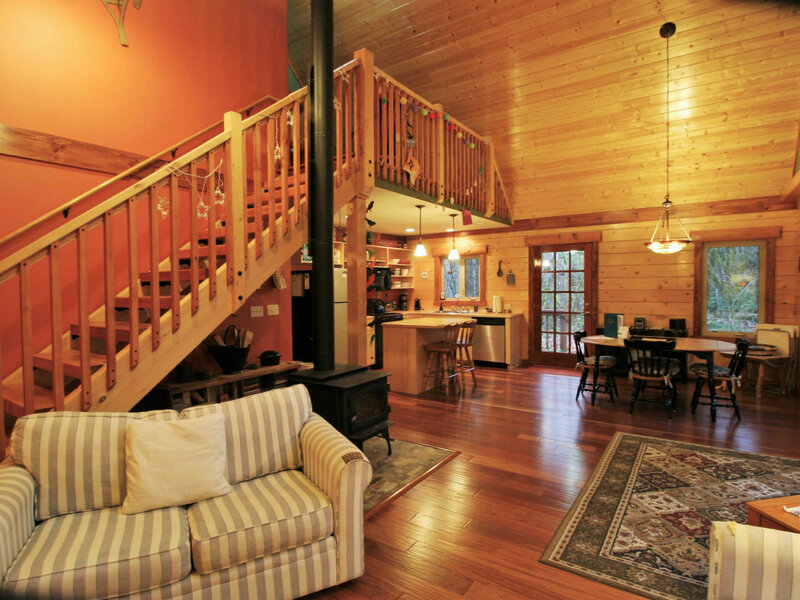 Your family will have a delightful time in this 2-story, 3-bedroom, 2-bath log cabin with a natural pine interior. 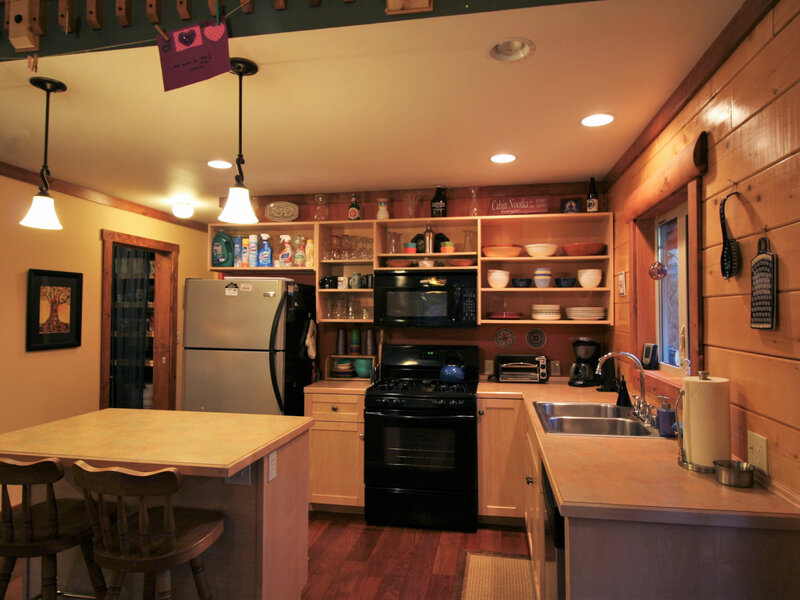 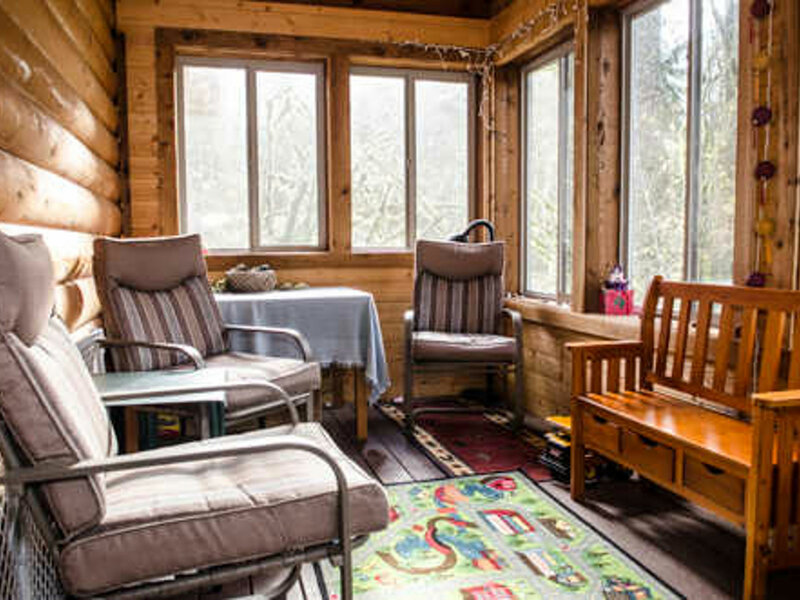 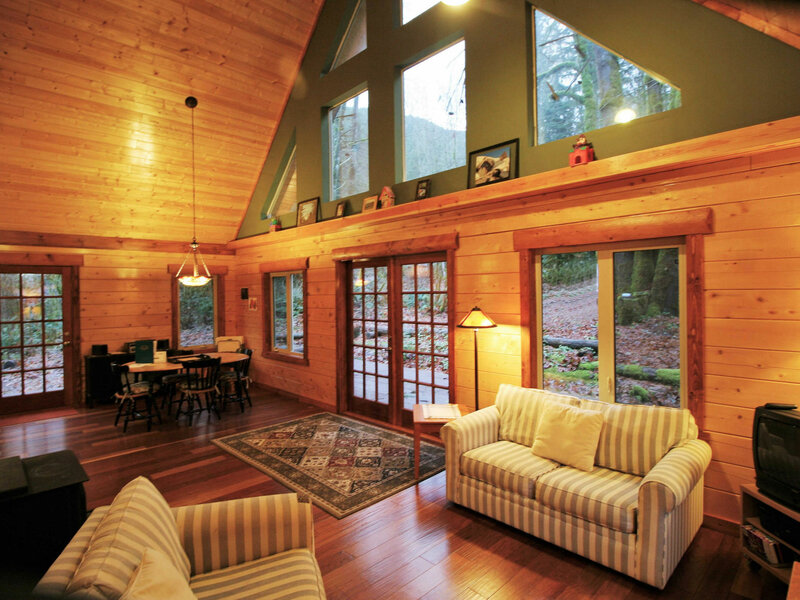 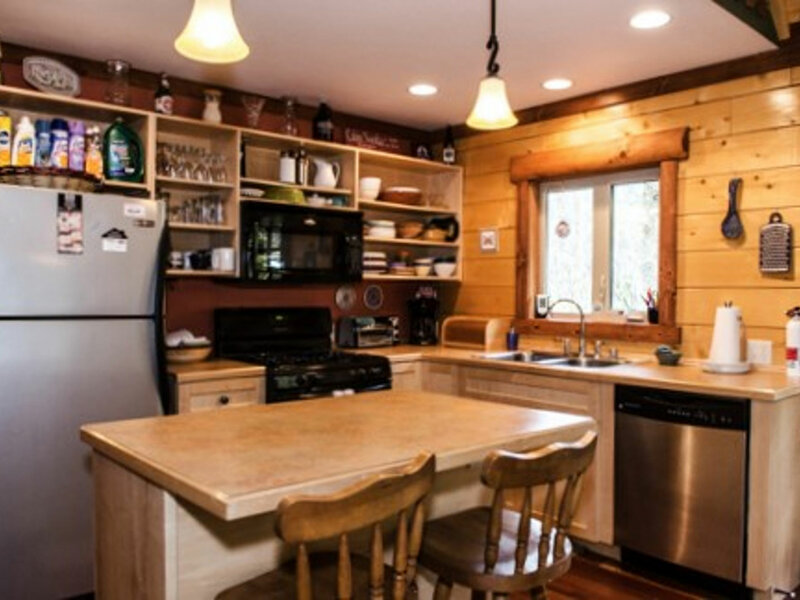 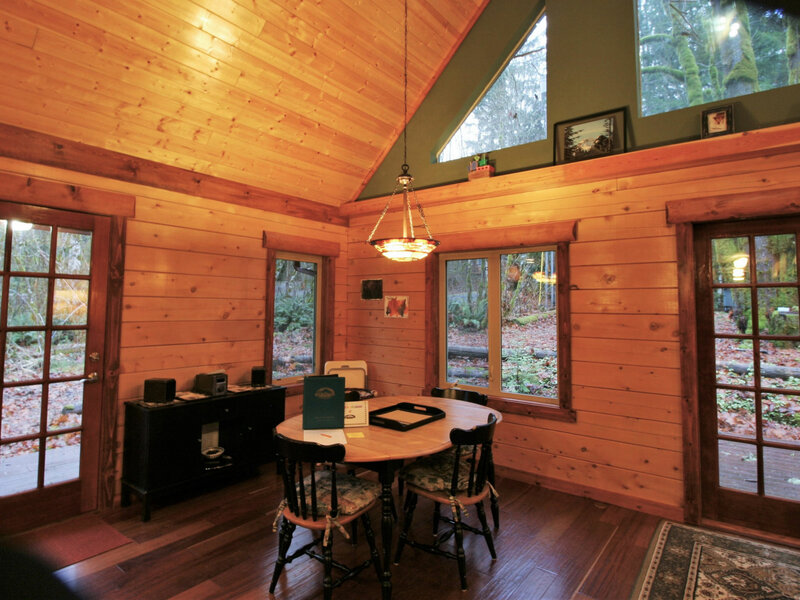 The first floor features a large, open and airy, kitchen/dining/living area with vaulted ceilings, complimented by a wood stove, (firewood provided) and a breakfast bar. 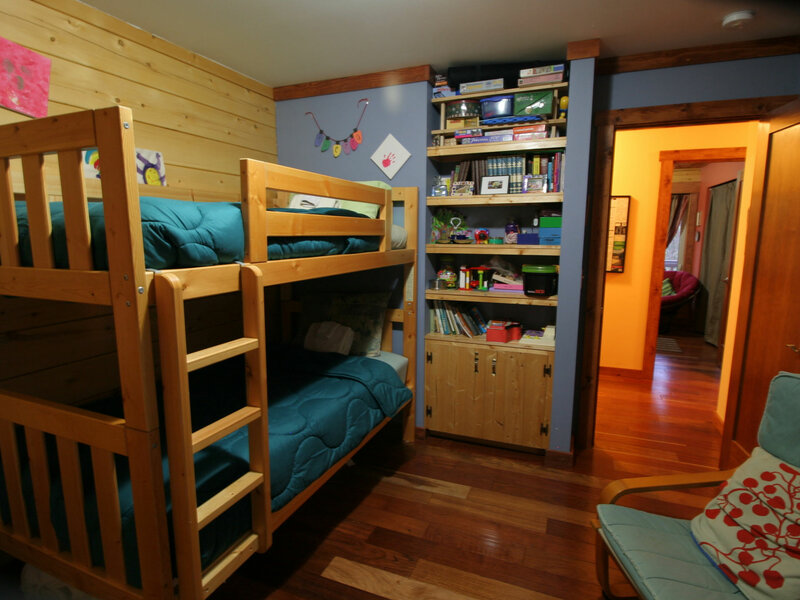 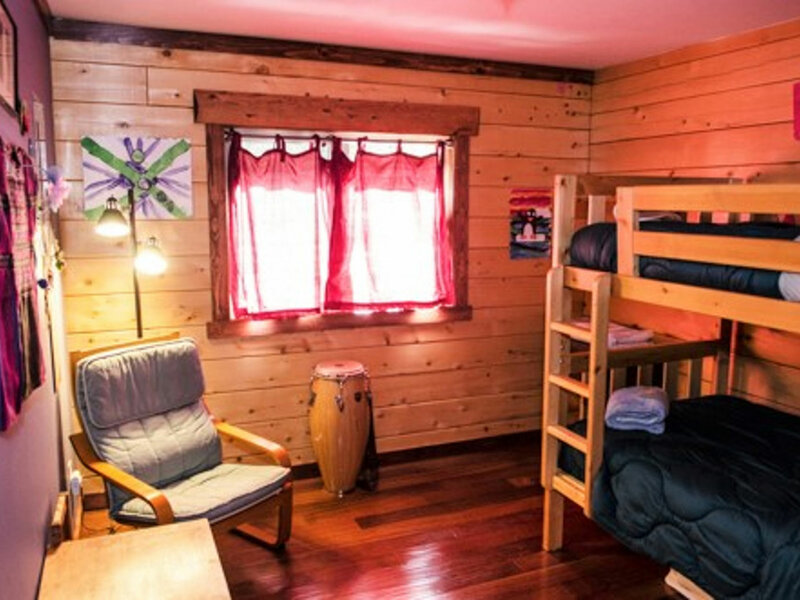 There is one bedroom with one queen bed, a second bedroom with one set of bunks, and one full bath augmented by a laundry cubby with a full-size washer/dryer. 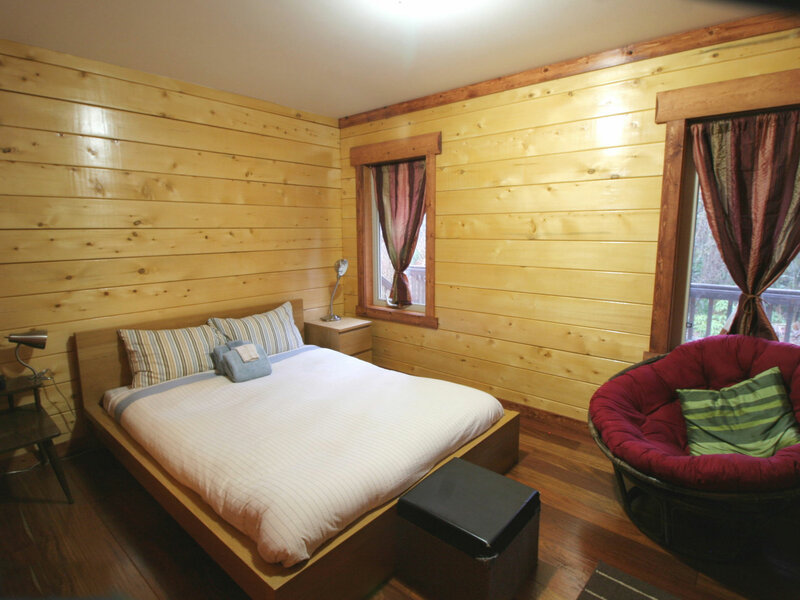 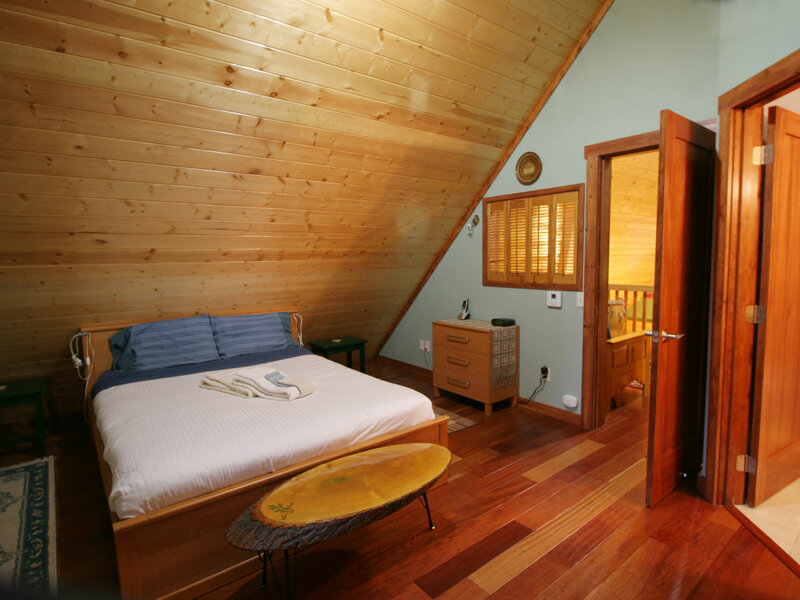 The second floor features a loft sitting area, a master bedroom with one queen sized bed and an adjoining full bath. 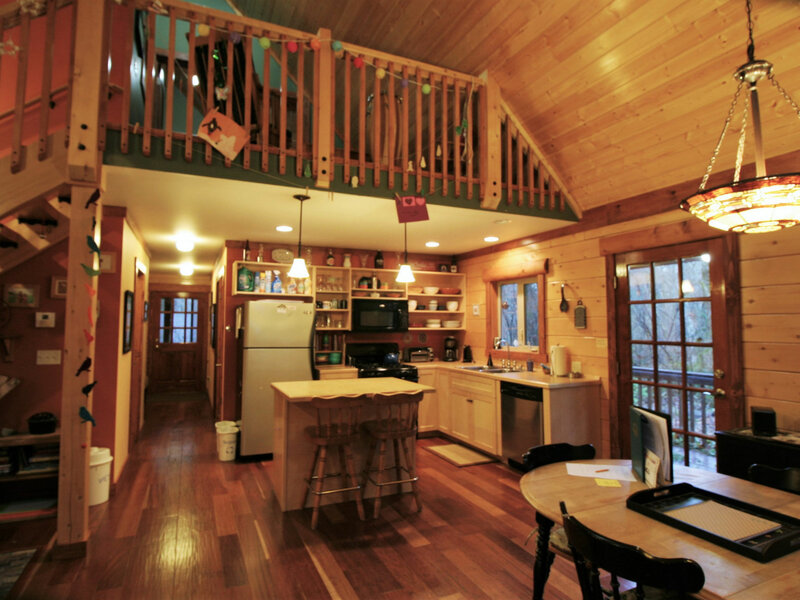 Exterior features include a wrap-around deck and an enclosed summer porch for spending lazy afternoons.